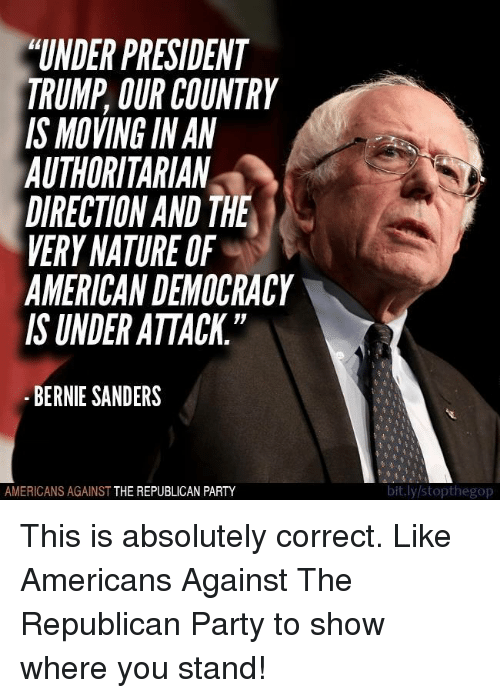 "Like Americans against the Republican Party to show where they stand"
The sentence "Like Americans against the Republican Party to show where they stand does not have a verb. Does it mean "Like Americans who are against the Republican Party to show where they stand"? If so, who show where they stand? Americans (who are against GOP)? Or GOP wants people to show where they stand? In this instance “like” means clicking the like button on Facebook. That is a screenshot and has no superlink there. Who show where they stand? Americans (who are against GOP)? Or GOP wants people to show where they stand? Yes, I knew "Americans Against the Republican Party." But who "show"? To show everyone in the known universe. Because (and I’m being sarcastic/not sarcastic here) it is vitally important that everyone know your opinions and feelings of all and every thing that has ever happened. Many people feel so strongly about informing complete strangers about their innermost thoughts they plaster their car bumpers, put signs on their lawn and tweet Facebook and use every other method available to grace us with this information. Many people? Whose people? GOP's or the Democratic Party's? Oh Jesus Orister. Stop nit picking. People. Just people. Many just plain People think the world needs to know everything they think. My last comment wasn’t about politics. To show = to let other people know . The “people” are whomever follow these kinds of topics on the internet. » "Like Americans against the Republican Party to show where they stand"